The Supreme Rap Rumble is dedicated to keeping alive the idea that lyrics matter, that originality wins, and that beats should make your neck sore. Sharing host duties are U of M alumnus and Hip Hop funny man Bookane the Villian, and long-time Minneapolis Hip Hop stalwart DJ King Otto. 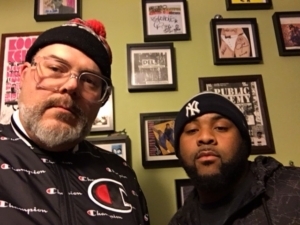 Both bring a dedication to keeping Hip Hop radio alive in the Twin Cities with live mixing and scratching, local and national guests, as well as music by the newest artists mixed with classic material. Tune in during Friday’s drive-time from 5-6 to catch them in action!